@88 magnetic adapter is designed to work with Apple lightning cable. Fit converter into iPhone's lightning port to help protect from dust and lint. Because of its magnetic connection, as opposed to constant plugging and unplugging, both of Lighting cables and lighting port can be protected from frequent use. 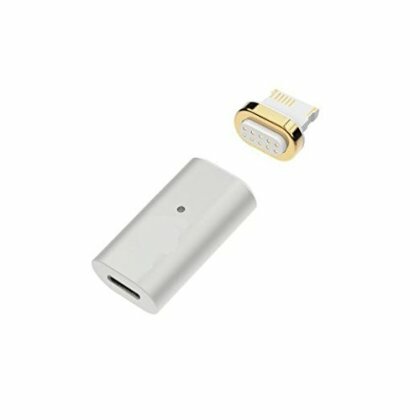 The adapter is as small as a thin sugar cube, so it is easy to put in a purse or pocket, the design of converter is so small, elegant and well integrated that you may start to think it's actually part of iPhone.